Different sources suggest that our current economic ideas are no longer sustainable. New ways of organising are emerging in which sustainability is often central. 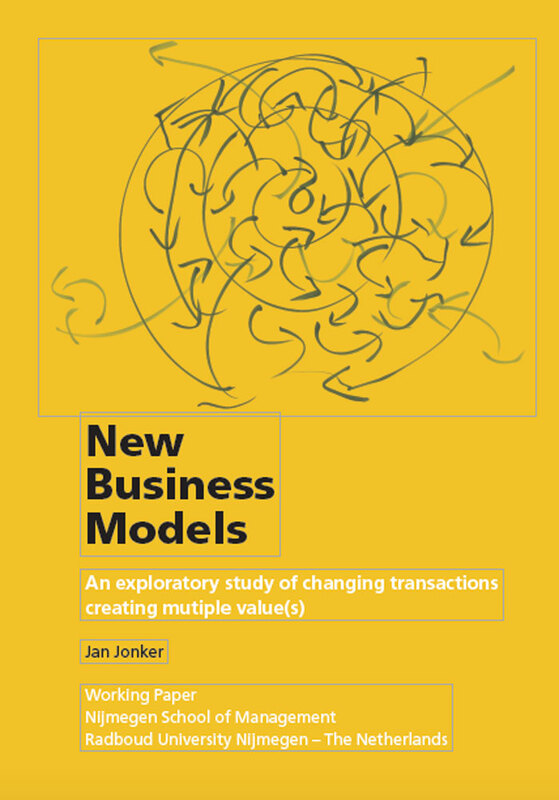 This paper presents the results of exploratory research initiated by Radboud University Nijmegen on new business models (NBMs). The research shows that NBMs appear to be ‘hot’ and ‘happening’. But what is a business model and in what sense is it sustainable? This study focuses on business models that create so-called ‘multiple value(s)’, which refers to organising in and between organisations that generates social and ecological value, apart from economic value. For the purpose of this research, twenty-eight interviews were conducted in order to gain insight in the phenomenon NBMs. The aim was to explore the field, to discover what new business models look like, which features they might have in common and how they function in (micro) practice.